A limited-edition trio inspired by the Japanese Magnolia, featuring a universally flattering rose hue. This playful, elegant shade is buildable enough to suit any season or occasion. Complete with a cosmetic bag. This versatile rosy hue with a demi-matte finish kisses lips with youthful color. More than just a lipstick, together our custom-made case and formula are a loving homage to Kyoto’s craftsmanship. Magnolia Bloom Lip Liner - 1.3 G | 0.046 OZ. This creamy pencil glides on easily to provide shape and definition to lips. It pairs perfectly with the Silk Lipstick to enhance its color and wear, or can be worn alone with the Lip Balm for a more subtle look. Magnolia Bloom Camellia Lip Balm - 6 G | 0.2 OZ. This luxurious lip balm appears deceptively vivid in the jar, but when applied lends a gorgeous rose tint that is the perfect wash of color. Rich in camellia oil, it leaves lips looking plump and nourished with a subtle shine. Mineral oil, synthetic fragrances, sulfate detergents, parabens, urea, DEA, TEA, or phthalates. If you take a walk through a Japanese garden, your eye will quickly be drawn to the magnolia blossom. The flower is striking in every stage of its life, showcasing a boldly colored gradient in each broad, silky bloom. In hanakotoba, the Japanese language of flowers, the magnolia signifies a love of nature; each magnolia petal even appears to sing, rejoicing in the season! The flower’s radiant hue and its connection to the intoxicating beauty of nature are brought to life in this versatile color through our Magnolia Bloom Lip Trio. 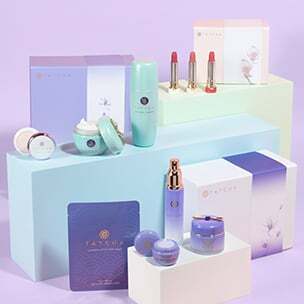 In the spirit of Japanese artisans’ deep devotion to every element of their craft, each Tatcha lipstick is hand-crafted into a tiny work of art. Because these iconic lipsticks shades are inspired by the magic of Kyoto, formulated with the purest ingredients, and packaged into tiny treasures, they exude beauty inside and out. With golden touches inspired by 17th century Rinpa art and nourishing ingredients to hydrate lips, each lipstick is a perfect marriage between traditional artistry and modern practicality. 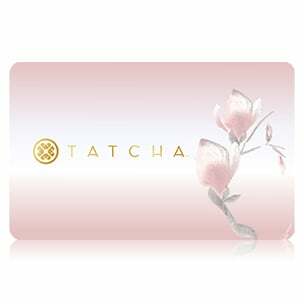 You’ll be able to feel the difference when you hold the comforting weight of a Tatcha lipstick in your hand.